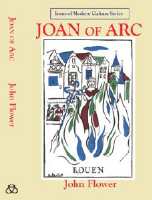 Why does Joan of Arc continue to fascinate us? Who was she? How did others react to her? What kinds of values has she come to represent? Is she a religious or a political figure? What are we to make of her in the twenty-first century? The subject of countless books and articles, of films and paintings, of songs and operas, of poems, plays and novels and at the same time of the most trite advertisements, Joan remains ever present not just in France but throughout the world. This book asks questions and explores by way of extracts and illustrations some of the many and different ways she and her deeds have been depicted and appropriated during the last five centuries.